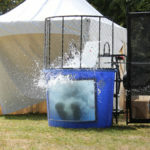 Dunk tanks have long been a favorite addition to events, especially in the heat of summer. 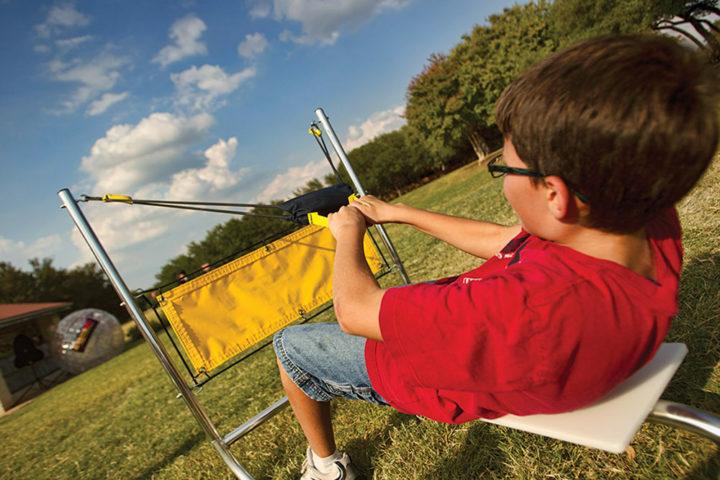 The timeless classic of trying to hit a small target with a baseball or similar object from a distance in order to soak the victim has not yet lost its appeal. Typically, this rental is used as a morale booster or fundraising tool for corporations, schools, and churches. At the workplace, prominent positions such as the CEO, president, or even middle managers will take the stand in exchange for employees donating money to a consolidated cause. A church group will have one of their pastors or youth sit in the tank to try and raise money for a mission trip or similar cause. Schools will typically be raising money for the school itself, at a carnival or similar type of event. One thing to consider when booking a dunk tank is whether or not your risk management or insurance group will allow for the activity. Many venues have restrictions surrounding the volume and depth of standing water that you can have on site. 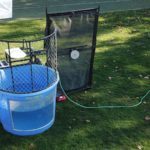 If your school or business falls into this category, consider one of our many dunk tank alternatives that achieve the goal of soaking the participant without the tub of water, or the gravitational fall into a tank. 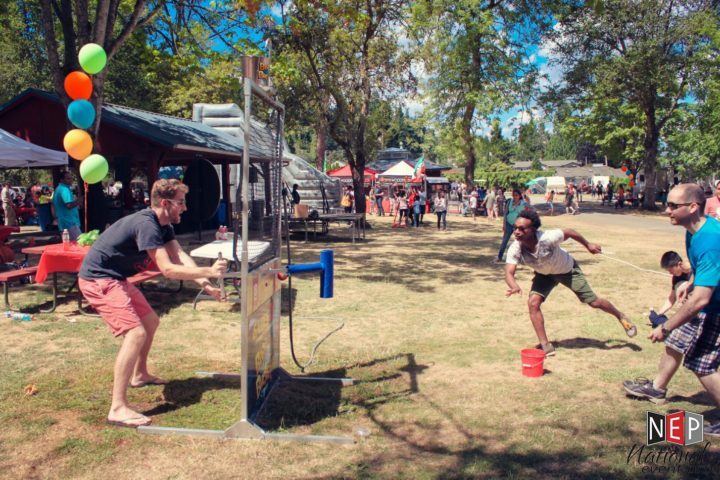 Dunk tanks actually originate from the late 1800s, when a particular performer invented a game involving tossing balls at his head for prizes. Due to the unsafe nature of the game, it was altered to have the participant fall into a tank of water when the target was hit. 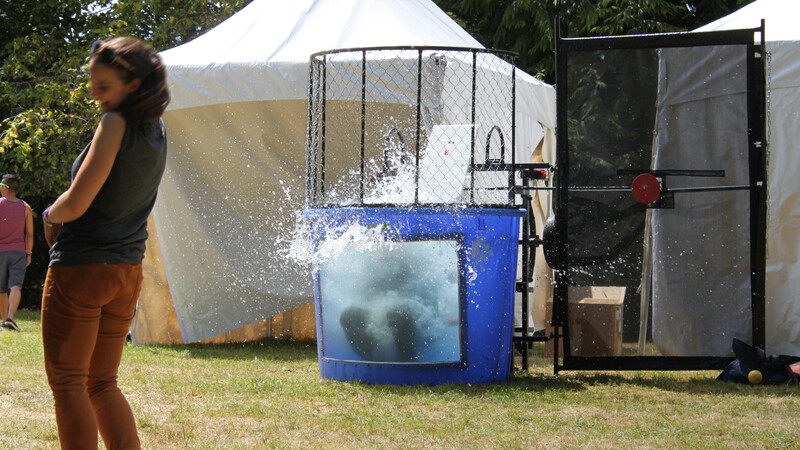 Dunk tanks became a staple of nearly every event up until the 1940s.